Just when you thought meringue couldn't get any better someone thinks of adding chocolate chips, toffee bits and pecans! 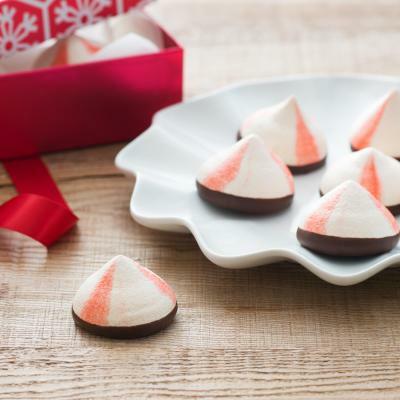 These toffee meringue kisses are melt-in- your mouth delicious. Be prepared to barter kisses for kisses! 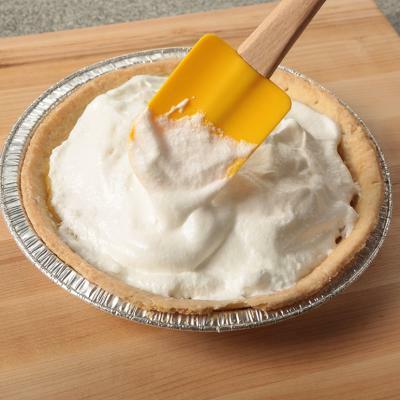 Beat egg whites and cream of tartar in large bowl with electric mixer until soft peaks form. Gradually beat in sugar, 1 tbsp (15 mL) at a time, until sugar is dissolved and stiff, glossy peaks form. Gently fold in chocolate chips, pecans and toffee bits all at once until well combined. Pipe or drop spoonfuls onto parchment-lined baking sheet. The cookies can be place fairly close together as they do not spread very much. Bake in preheated 250°F (120°C) oven for 35 to 40 minutes. If cookies start to brown, reduce heat to 225°F (110°C). Turn off oven and leave cookies to dry in oven with door slightly open for at least 2 hours. Sprinkle cocoa through a sieve over cookies before serving. If you can't find fine granulated sugar, use food processor to grind regular granulated sugar to a fine powder. Or substitute granulated sugar. When beating egg whites, to determine if sugar has dissolved, rub egg whites between your thumb and index finger; the mixture should not feel gritty. If you don't have a piping bag, cut a 1inch (1.5 cm) hole in the corner of a large Ziploc freezer bag, fill with cookie mix and gather at the top to form a piping bag. Cookies should be about 1 to 1-1/2 inches (2.5 to 4 cm) at the base. 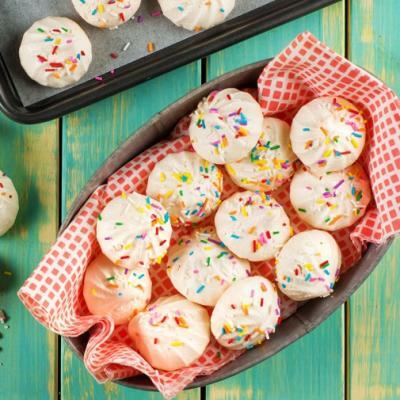 Avoid making meringue cookies on a really humid day or they will be very sticky.